Great idea Karl. I am so disgusted by the upcoming wolf hunt and sickened that these beautiful creatures will become one more animal humanity must exploit for its selfish purpose. I will try the lottery, as you recommend. Thanks for caring!! Thanks Karl Bremer, for providing about buy a wolf license to save a wolf, I would like share this video with UK’s students, who are needs writing services - http://www.qualityassignment.co.uk/services/assignment-writing-service/. 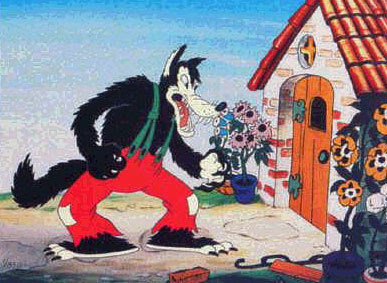 The Big Bad Wolf is a fictitious wolf looking in several warning tales that contains some of Aesop's Stories and Grimms' Fairy Stories. Versions of this appeal have appeared in frequent works, and has convert a generic model of a menacing greedy antagonist, occasionally mentioned to as the Big Bad. It's a great idea :D I have never thought about it. Thank you for sharing. This is really a good way to save a wolf. Being a PhD dissertation writing services professional, I must stand with your campaign. As one of the best packers and movers Aurangabad, we understand every needs of our customers. In my childhood I liked this comic. top10movers is a resourcefully supervise a service provider organization with a squad of extremely enthusiastic, specifically qualified, skilled and experienced staff. We understand the intricacies involved in our work, that’s why, Indian packers and movers has an excellent team of Packers and Movers Company for loading and unloading process of Household, office and Commercial goods.